The Rising Card is among the most popular tricks in card magic. It does involve a bit of setting up before you do it, but if you do it perfectly, nobody will have any suspicion of it and it does look like real magic. Basically, you're rising up a card from the deck when it's in the box.First, you ask the viewer to decide on a card. You put the card back in the center, then you put the deck back in the box. You hold up the box in the front of the audience and gradually, the card they picked just rises by itself from the deck. There are two parts to this trick. A sleight of hand, and the actual climbing trick. First, a sleight of hand is used to deliver the card they picked back to the peak of the deck.The sleight of hand employed in this trick is called the Double Undercut. It is such a terrific move to have the ability to bring any card back to the top. You can find out how to do this in our d﻿﻿﻿ouble undercut tutorial. It is a crucial part of the trick. The next part of the tutorial is where we learn to create the card rise from the deck. 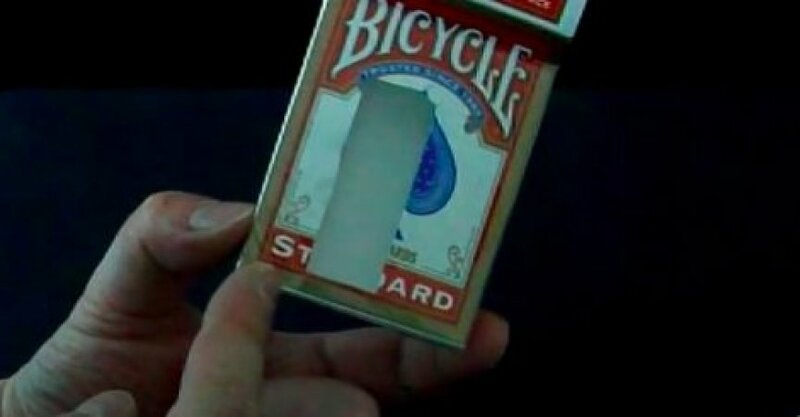 Here is the big secret: There is a hole cut out in the bottom of the box of cards. We use the dual undercut to control the card back to the top so that it is the first card in the deck. Once we put it back in the box. All we must do now is to push up the card with our index finger. Will people be suspicious of this box? Don't worry about the people being suspicious about there being a hole at the back of the box. In actuality, at the start of the trick leave the box face down right on the table in front of everyone. That makes it even more amazing since it was there right in front of them the whole time. So that they won't suspect anything. At the conclusion of the trick, simply take the card out together with the rest of the deck. And casually put the box away in your pocket. NOTE: In this video, he skips part 1 of the trick and just places the card straight on top of the deck, rather than place it in the middle.